Looking for this information in PDF form? 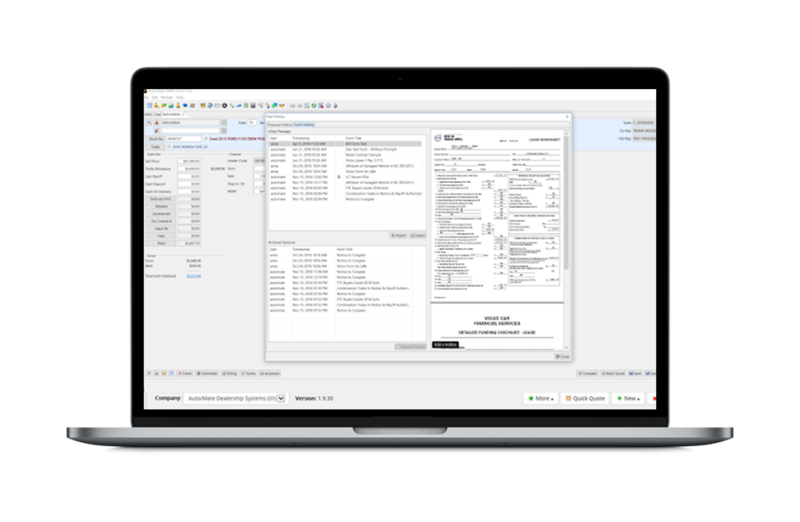 Modernize your sales workflow and electronically manage documents by eliminating the hassles of paper forms. The eDEAL™ Signature Capture feature inside of Desk/Mate™ allows F&I staff to capture and store electronically signed documents from their customers using digital PDF forms on a tablet. 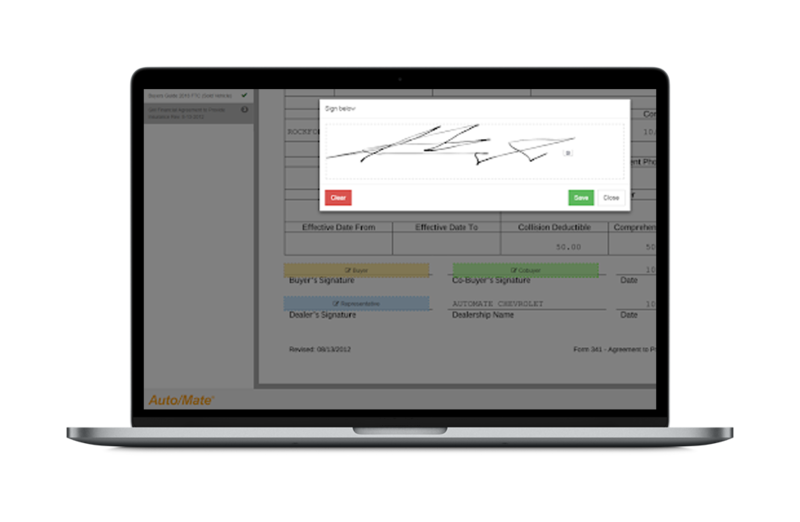 This allows the dealership to store forms digitally in the DMS and send an email to the customer with all documentation attached, drastically reducing the amount of paper used in car deal transactions. Take your forms to the next level by making them digital. Going digital means fewer headaches associated with impact printers. Spend more time with the customer going through an interactive F&I process and less time walking back and forth to the printer. eDEAL™ allows you to reduce the use of paper forms and store digital PDFs right in the DMS. You can even take the forms that can’t be made digital, scan them and upload them to complete the digital deal. Modernize the customer’s sales experience . Your customers are living in the digital age, and they expect everything to be instantaneous. eDEAL™ is a customer-friendly tool that speeds up the F&I process and gives your customers the digital car buying experience they’re looking for. Customers only have to sign once, and then tap to apply their signature to other required fields. The digital deal is downloaded as a .zip file that you can email or put on a flash drive. Lower your expenses tied to printing and storing forms. Consider the number of forms you print per deal and the average number of deals you close each month. Now associate that number with how much paper and toner used. eDEAL™ takes reams of paper out of the equation. This means you no longer have to pay to store boxes of forms offsite or scramble to find physical copies of forms during events like a factory audit, since they’re all attached to the proper deal.